Yes, the rest of India has discarded the whole issue as being a routine affair and continues being as indifferent as ever. Following the killing of Hizbul Mujahideen commander Burhan Wani at South Kashmir’s Kokernag village on 8th July, 2016, the past 7 days have been horrifying. As phone and internet services remain snapped, curfew and shutdown continues in all the 10 districts of Kashmir. So, the most obvious question that would come up in anyone’s mind is why are the Kashmiris agitating against the killing of a ‘militant’ and how come 50,000 people turned up in Burhan Wani’s funeral to mourn his death. So let us try to understand some very important aspects of the Kashmir Conflict. In 1947, after the end of the British rule, the Maharaja of Kashmir signed a treaty of accession with India following which India and Pakistan get involved in a war over the region. So India raised the Kashmir issue in the United Nations in 1948 and a resolution is passed which called for a referendum for Kashmir’s future and at the same time asked Pakistan to withdraw its troops and India to cut its military presence. A ceasefire comes into force. However, the referendum never took place as the above mentioned preconditions were never fulfilled by either parties. The disputed state elections of 1987 acted as a catalyst fomenting pro-independence insurgency which only escalated in the following years, and India has always maintained the stance that these insurgents have been trained by Pakistan to destabilize Kashmir and fulfill its vested interests. 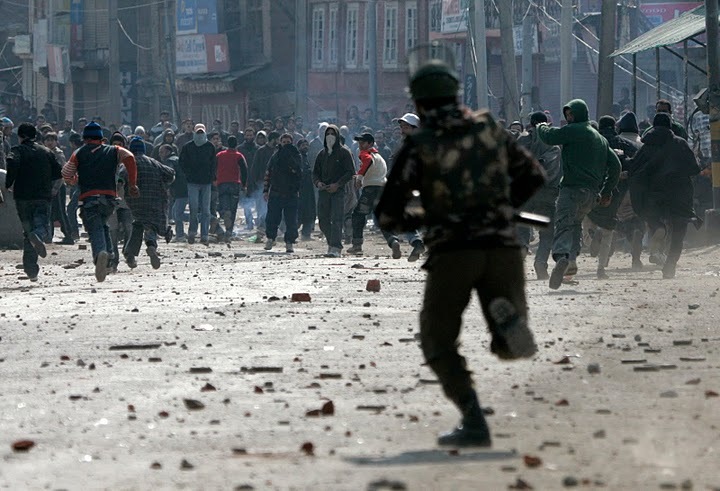 2) Are the recent clashes and unrest in Kashmir unprecedented? Absolutely not. There has been many incidents of demonstrations and subsequent violence. In 2008, Kashmir saw massive protest against the State Government and the Central Government over their decision to transfer some 100 acres of land to Shri Amarnathji Shrine Board to make shelters for pilgrims visiting the Amarnath temple. 40 unarmed people were killed and many were detained as security forces tried to control the situation. 3) So who are these ‘separatists’? These separatists leaders, some prominent ones being Syed Ali Shah Geelani, Masrat Alam, Asiya Andrabi and Mirwaiz Umar Farooq advocate Kashmir’s independence and separation from India and make Kashmir a part of Pakistan. 4) Are Kashmiris dissatisfied with the governance and do they feel alienated and isolated from the rest of India? Yes, without an ounce of doubt. 5) And why is that? 6) What can be done? This can’t be easily answered. But ‘accepting’ the fact that there are genuine causes for the dissent among Kashmiris and we as a nation need to realiss our shortcomings before pointing fingers at our not so friendly neighbor (read Pakistan) will definitely be a starting step. ‘Credibility’ and ‘Trust’ seem to be the keywords here. A strong political will to act and bring about the much-needed ‘Peace’ in the valley putting aside vested interests should be something our leaders should be focusing upon. But why only the leaders, what we as citizens of this country could do is to take the collective responsibility for having neglected the State which is akin to the crown which adorns our motherland. As John Lennon sang “Let’s give peace a chance” because when Kashmir burns, with it burns the soul of India.